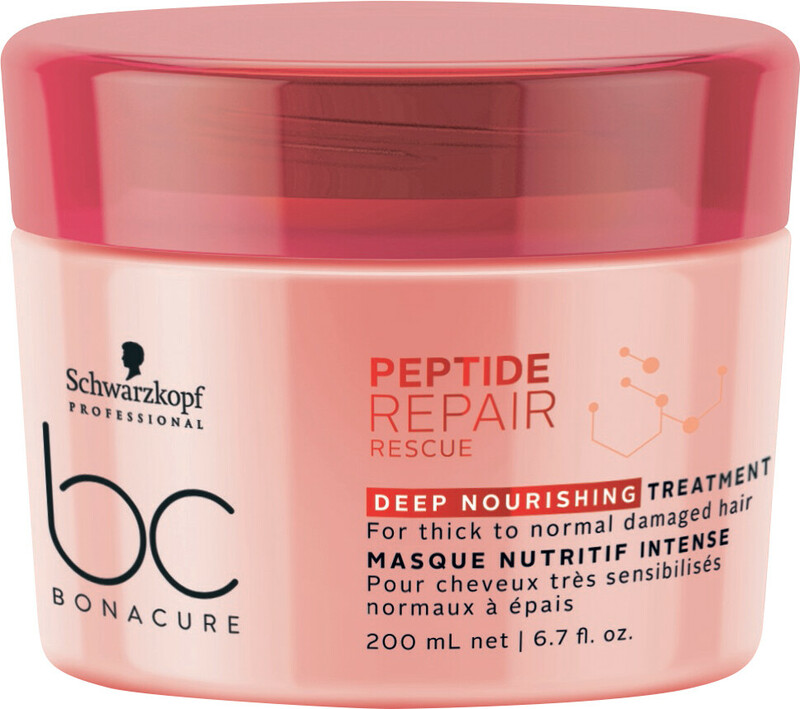 Intensively nourish extremely damaged hair with the Schwarzkopf Professional BC Bonacure Peptide Repair Rescue Deep Nourishing Treatment, the most intensive BC treatment for normal to thick hair. When hair is over-processed, sensitised and depleted, it can look really unhealthy. This weekly treatment is designed to put the life back into your strands, improving inner strength and smoothing the surface of the hair to improve shine, softness and manageability. 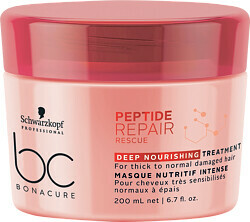 Created especially for normal to thick hair types, this rich and deeply nourishing mask intensely strengthens your hair, ensuring up to 95% less breakage.